Home / Articles / Tarot Cards: Does it work or not? Tarot Cards: Does it work or not? Does Tarot really work or is it just our emotions tricking us? 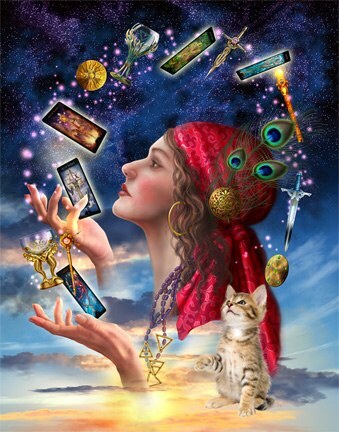 Tarot does “work,” if by working we mean that about 85-90 percent of the time, the cards accurately describe specific details of the life or activities of a person in question. There is some healthy room for error, which I estimate on the high side up to 10 or even 20 percent (hence the 80 – 85 percent estimation of accuracy), depending on the skills of the reader. Some readers close this gap very tightly, but I don’t think anyone is dead on all the time about anything, and this includes Tarot readers. How can this be? 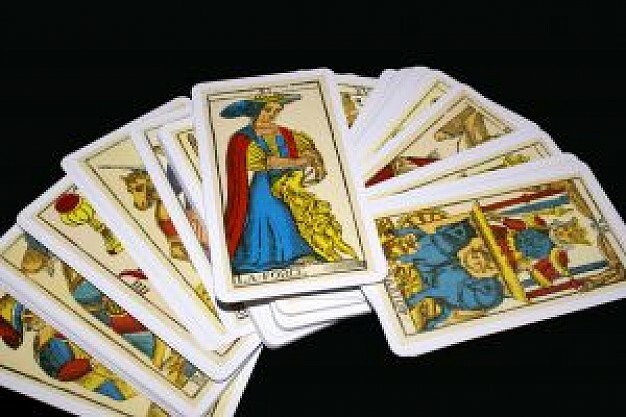 How can it possibly be that Tarot Readers can gather specific, accurate details through merely reading cards? The answer is simply that no one knows. This is precisely what has so many of us hooked. Once you try reading, you may start to believe that psychic powers do exist, and that you yourself posses them. Many readers believe that everyone is “psychic,” because they have seen it for themselves. Virtually no one believes that the cards themselves are magic, though the decks are treated with the care with which one might treat any favored object. The experience, however, of accurately reading other people’s situations is so powerful that we do have a respect for the practice. Although no one knows why, or how, Tarot cards work, we can still come up with some theories. What follows are some of mine. First, however, some context is necessary. Tarot is just one method of divination, and divination is just one practice in a large number of practices involving psychic ability. Before specifically addressing Tarot, we must touch on some of the qualities of psychic ability, and also divination, in general before discussing Tarot in particular. our subconscious mind gets the message and responds accordingly by working in a way that will fulfill this intention. Recent scientific studies have indicated that positive thinking in athletes creates a physiological reaction that includes increased endorphins to the body, allowing an athlete to overcome pain and push harder, further, and faster. Negative thinking, on the other hand, inhibits these endorphins and the physical body is not capable of as much. This was all true before anyone knew it was true. It was true before anyone even knew what an endorphin was. Whatever turns out to be true about the psychic process is likewise true today, even though we don’t have an observable explanation. It is essential to make peace with this idea if you would like to experience psychic ability for yourself. This can be more challenging for some than others, so a few notes may be useful before we move on to divination. If you struggle with the idea that only what is measurable, observable, and tangible can be “real” or “true,” consider this. Love, religious faith, and emotions are all real and true, and we don’t spend a lot of time worrying about whether it is all just “fake” just because we can’t verify it through the scientific method. Do some people fake their love, religious faith, and emotions? Of course, as some people fake their psychic ability. What this means is not that everyone doesn’t have the capacity for love, religious faith, a particular emotion, or psychic ability, but that we are not connected to it and congruent with it at the time we claim to be so. Most people, however, don’t need to fake any of these things. These are realities that come from inside a person. It is absolutely true that logical explanations and consistent observations confirm our reality, but reality itself is not dependent on our ability to perceive it in a way that makes sense to us. There is a reason why we use the scientific method when studying fossils or testing the effects of a medication on the human body, but the scientific model is just one model. Religious models,legal models, organizational models, and conflict resolution models are all models that simply don’t apply to science. Likewise, the scientific model, or scientific method as it is called, does not apply to all situations. It doesn’t apply to conflict resolution, marriage counseling, or the so called “paranormal.” That is why we have different models for different areas in the first place. We are physical beings, our lives are tied inextricably to our human bodies, and we live here in this physical world. That doesn’t mean that the observable physical world is the only possible realm of reality. Such an assumption makes the same mistake that we made centuries ago when we insisted that the sun went around the earth, because to assume that we were not at the center of the universe was an affront to God himself. So is there a “psychic model” that applies to the area of psychic ability in the way that other models apply to other areas? If we can take a step back out of our frameworks and models, we can make room for something new to come in that is unlike anything we have previously experienced. Suspension of disbelief is key. Inability to suspend disbelief is the number one obstacle to developing psychic ability. We suspend disbelief constantly to watch TV or a movie. If you think about it, every time we see a movie we have to instantly adjust to, and accept, the laws of the world the movie exists in so that we may enjoy it without constantly being bothered by the idea that horses can’t talk, or that a car won’t really explode with the force of a firebomb if someone flicks a lit cigarette onto it. Suspension of disbelief stops the conscious mind from sending signals to the subconscious mind that it should ignore and disregard all incoming messages that do not have the approval of the conscious mind. There are many ways in which people use their psychic ability, and it is beyond the scope of this post to provide even an abbreviated overview. Simply, psychic ability can be defined as the ability to send or receive information directly, without the intervention or assistance of sight, sound, touch, taste, or scent. 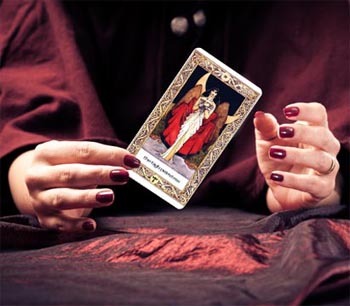 Divination refers to the practice of seeking specific information by means of a particular psychic method, usually involving tools, of which Tarot cards are one example. Some people who do this may not use the words “divination” or “ psychic,” for example a person who prays to God asking for an answer, who listens to an inner voice or feeling to tell them the information they asked for. Nevertheless, regardless of what we call it, we are all taking about the same thing. We finally arrive at our original question – do Tarot card readings actually work? Yes, they do, provided that we understand that Tarot cards don’t “do” anything. They are a very effective tool that a reader can use to translate information coming through on a psychic level into information that is expressed in words.